Battlefield V is kicking things off in 2019 with Tides of War Chapter 2: Lightning Strikes, a new update that brings a bevy of requested changes and tweaks to the game as well as new content. The most eye-catching fix is the series of adjustments hoping to rectify the time-to-death controversy surrounding the game the past month. The death experience has improved with the addition of a camera that now follows and zooms towards the killer. This will allow players to understand what killed them and the position of the killer. The accuracy of the visual representation of incoming bullets for other players has been improved. Tracers should now properly appear to consistently appear from the shooter and should be clearer when the victim is looking directly at the shooter. An issue was fixed with the UI directional damage indicator that delayed the indication of damage to the victim. Tweaks were made to the UI directional damage indicator to more accurately point towards the enemy damaging the player. Alongside these proposed fixes come four new weapons that players can earn via weekly challenges during Lightning Strikes. A unique version of Conquest, Squad Conquest, also makes its way to the game. Squad Conquest features two squads of eight players each per team facing off against one another on the Arras, Rotterdam, and Hamada maps. The mode is only available temporarily, running from January 17-30, so get in soon if you want to play it. You can read the entire list of rank rewards available in Lightning Strikes here. 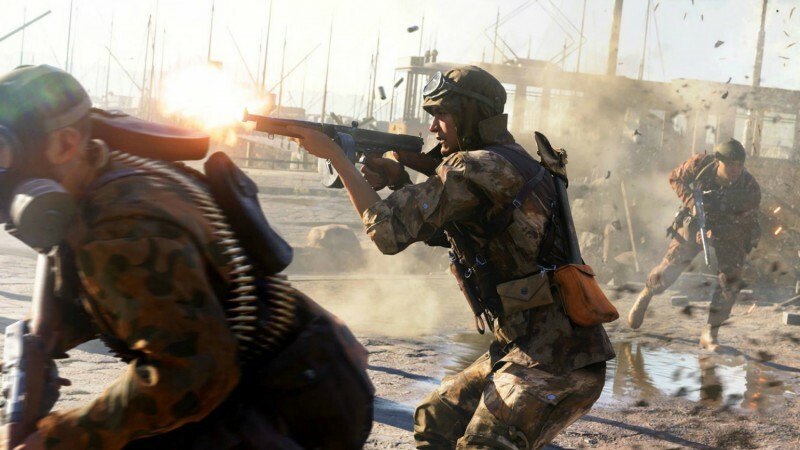 This content drop is the opening salvo of Chapter 2 of the Battlefield V service, which also promises the return of Rush mode and a new Grand Operation in the near future. For more on Battlefield V, check out our review here. Overwatch Fan Creates Amazing Replica Of B.O.B.